We have beautiful options that are elegant and can tolerate scrapes, blemishes, and chips, looks like real wood but is less expensive. Capable of simulating many different types of real wood and some varieties of natural stone and ceramic materials. 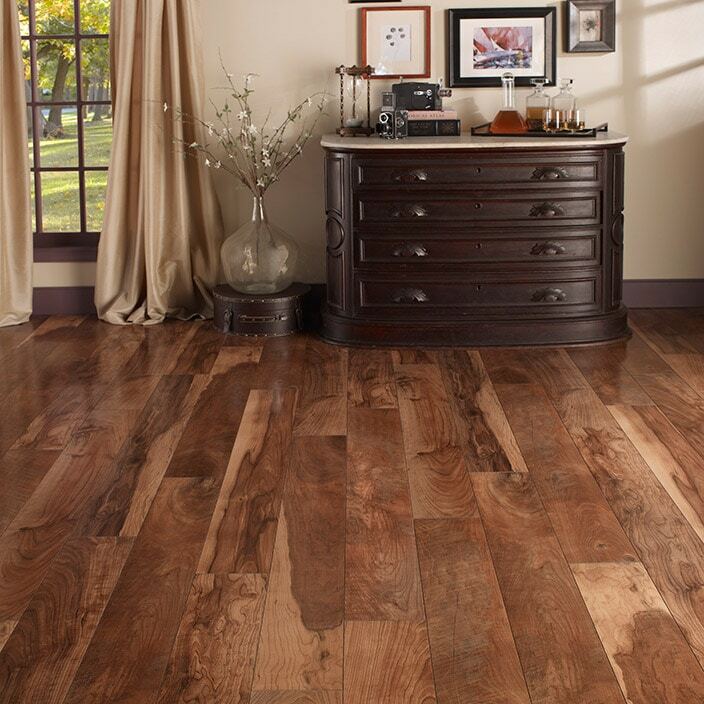 Laminate flooring is extremely easy to clean because the outer layer is resistant to stains and some types of spills. Additionally, you can treat it with other types of coatings to improve the health of your family even more. 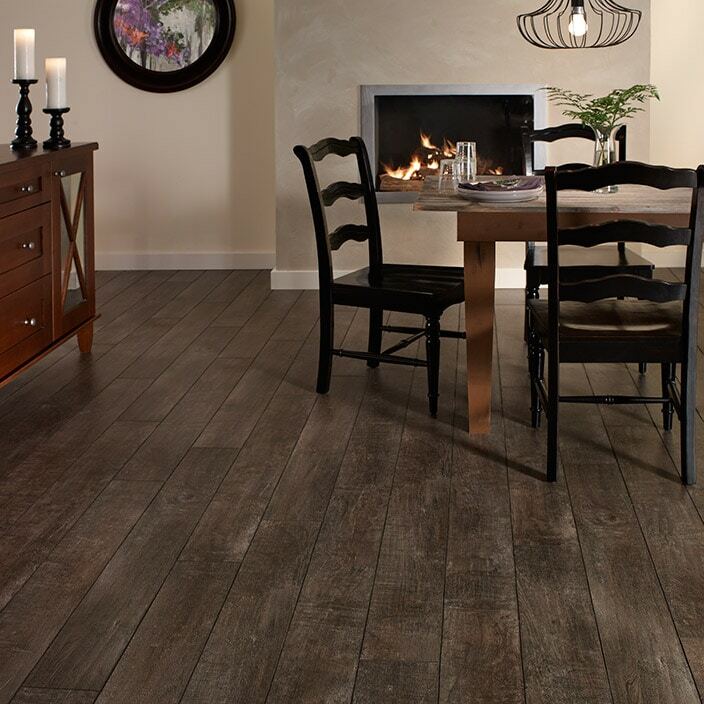 Laminate flooring is resistant to outdoor channels that usually tarnish some types of real wood. 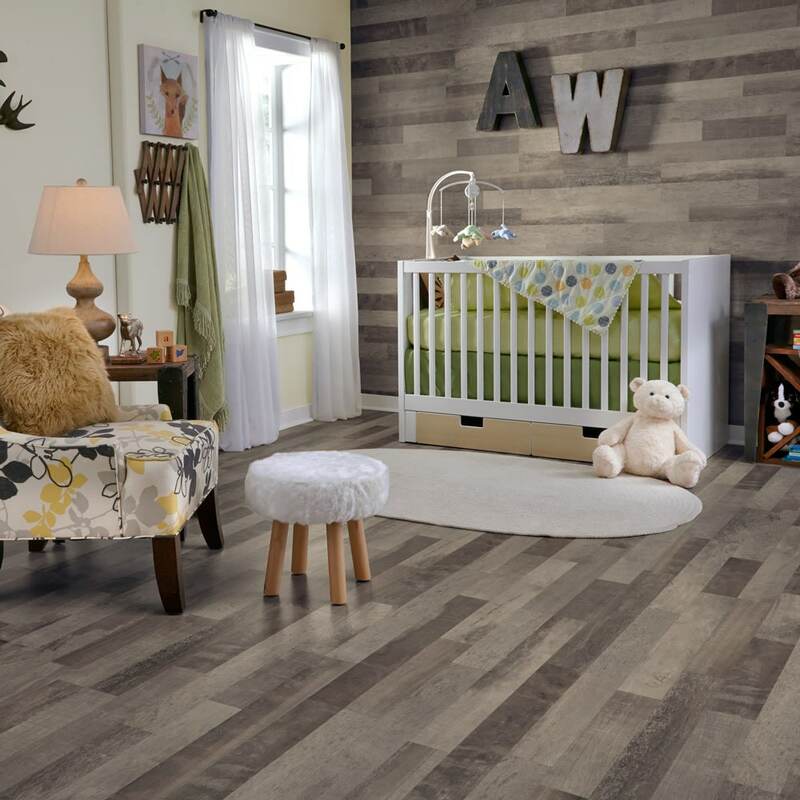 If you’re wondering where to buy laminate flooring in Lakeland, FL, Sunshine Interiors has laminate flooring on sale at prices that you can afford. We have beautiful options that are elegant and can tolerate scrapes, blemishes, and chips. Laminate flooring looks like real wood but is less expensive, and it comes in many different styles and textures that make it resemble real wood no matter which room it’s in. Pricing depends on the brand, type, and style you choose and the size of the space where it will be installed. 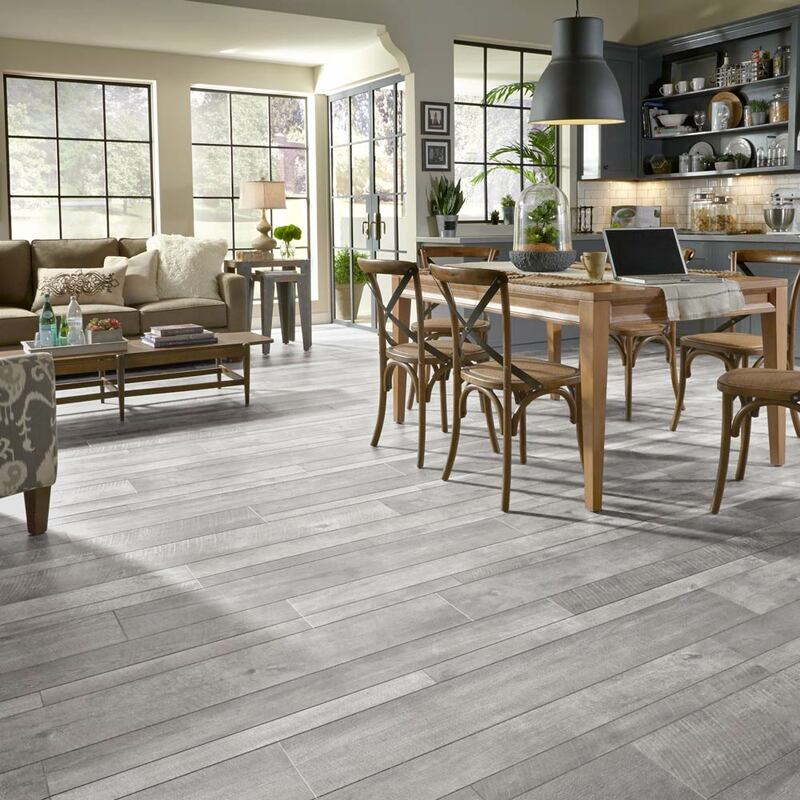 Competitive pricing is always available at Sunshine Interiors, one of the top laminate flooring stores in Central Florida, and we have options in every price range. 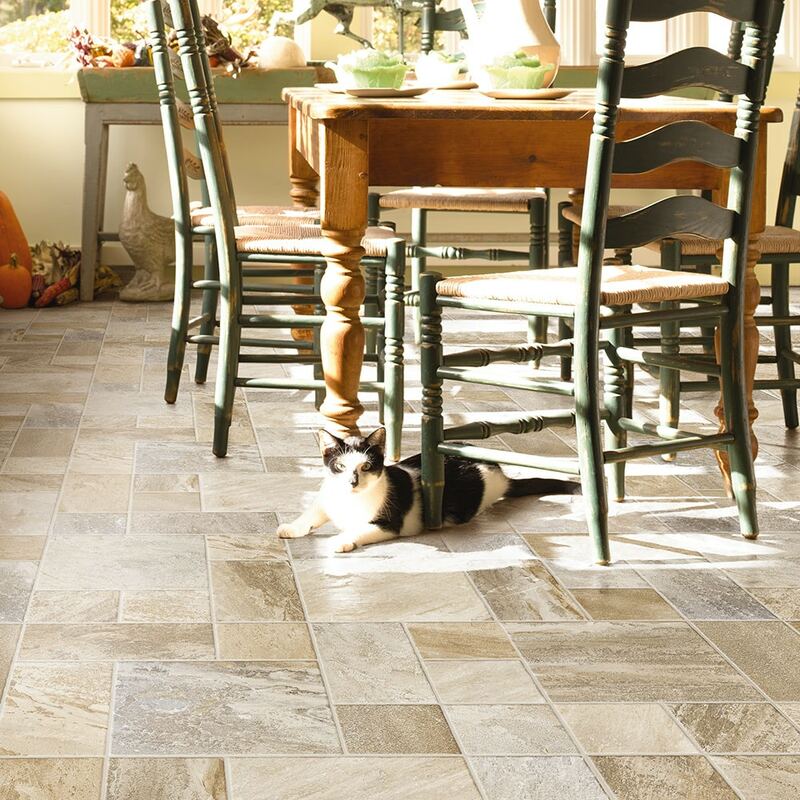 Tell us about your flooring needs, and we’ll deliver a price estimate you’ll like. The short answer is, yes, laminate flooring is good. However, it has many pros and cons, which you should consider before you make a decision to have it in your home. Thickness. Laminate flooring is available by the millimeter of thickness, usually 7-millimeter, 8-millimeter, 10-millimeter, or 12-millimeter. Thicker flooring is less prone to bending and can decrease noise. AC rating. This rating tells you how durable the flooring is. 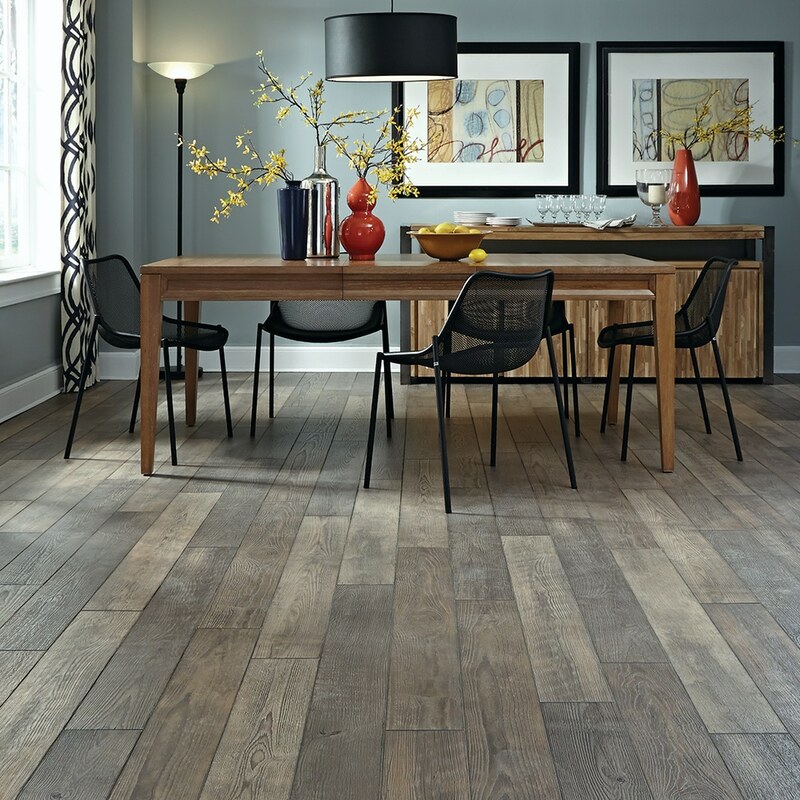 Use these ratings to understand the types of traffic the laminate flooring can tolerate. AC1. Withstands light use. It is ideal for bedrooms and closets. AC2. Withstands moderate use. It’s ideal for dining rooms and living rooms. AC3. Withstands all types of use, including heavy. It’s ideal for kitchens, hallways, and entryways. Smooth. 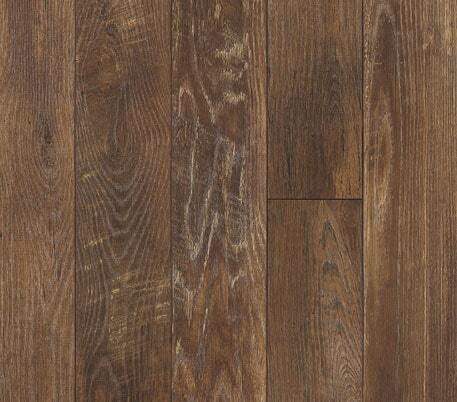 A clear finish that is similar to a varnish that you apply to hardwood. Embossed. A finish with enough texture to simulate a surface grain seen in hardwood. Embossed in register. A finish with more depth and texture to match the wood grain. Handscraped. A finish that imparts an antique, made-by-hand look intended to appear naturally worn. Never polish or wax it. Put protectors on furniture feet. Keep your pet’s nails trimmed to minimize scratching. 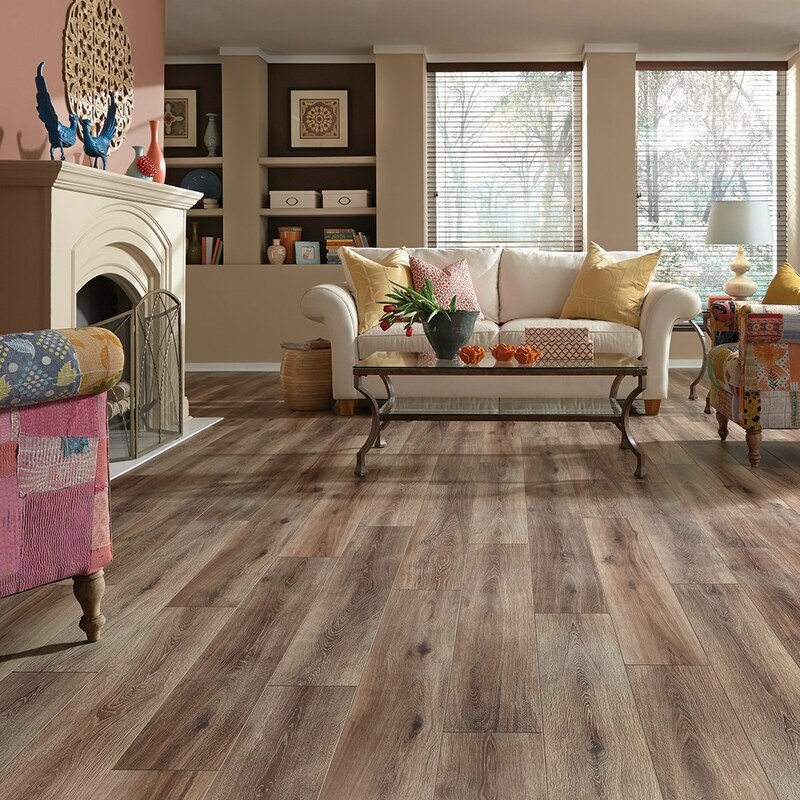 After 32 years in the business, Sunshine Interiors continues to provide top-quality laminate flooring with superb service in the Polk County, Hillsborough County, and Hardee County areas, and we have the ratings to prove it. Our phenomenal staff sets us apart from the competition. Some members have been with us since the day we opened the doors. We have no employees here. All of us simply work together to ensure that you are satisfied with our products, our work, and our service. Your satisfaction is the bottom line. An invitation to browse our showroom so that you can see and touch samples of the different types of laminate flooring. 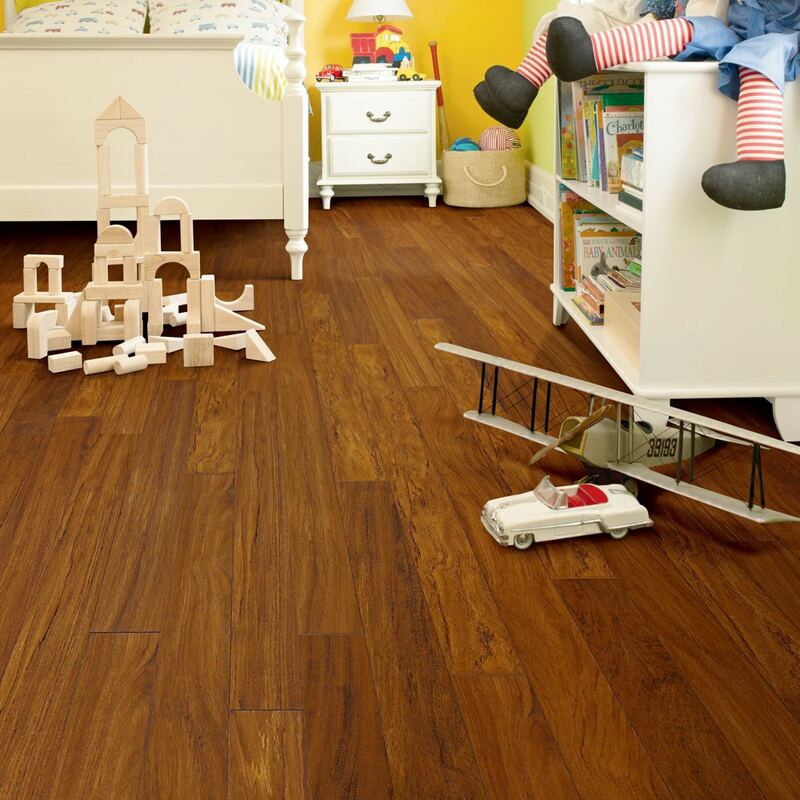 Laminate flooring samples to take home so that you can experience them in your environment. If you’re unable to visit the showroom, we can bring samples to you. The guys over at Sunshine Interiors of Lakeland are just great. They provide an excellent product and excellent installers to install that product. The installers are always on time and they are incredibly efficient in their work. I really like that they do exactly what they say they are going to do and they don't try to be sneaky and do extra so they can charge you extra. If I ever have any questions they are more than happy to answer all of them. They are just a great service, and I am always incredibly happy with their work. We have beautiful options that are elegant and can tolerate scrapes, blemishes, and chips. 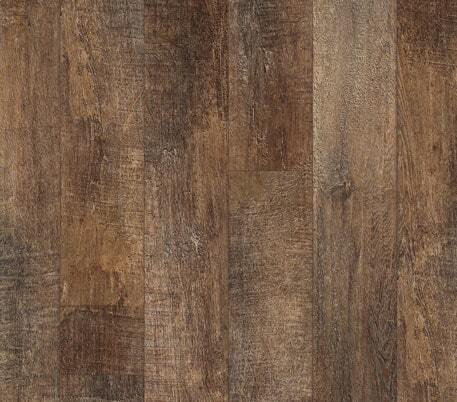 Our hand scraped designed laminate disguises dents and marks that would be visible on a smooth finish laminate. 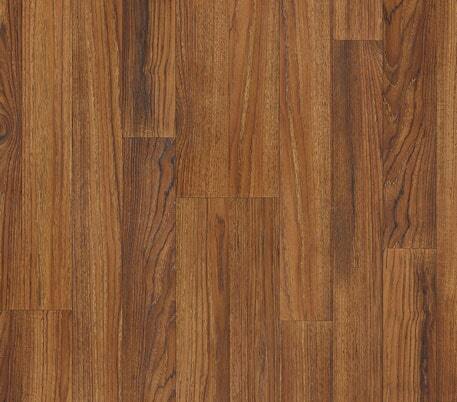 The smooth finish laminate gives the appearance of the pre finished wood flooring products. The texture look helps with non skid surface. Textured has a more natural feel in the look of wood. Gain inspiration from some of our past laminate flooring projects and let us help you transform your home.